Can turmeric really shrink tumors, reduce pain and kill bacteria? Turmeric is a yellow colored spice widely used in Indian and South East Asian cuisine. It’s prepared from the root of a plant called Curcuma longa and is also used as a natural pigment in the food industry. In previous studies, curcumin is reported to be an antioxidant that protects the body against damage from reactive molecules. These are generated in the body as a result of metabolism and cause cell damage (known as free radicals). Chronic inflammation has been linked to the development of numerous diseases such as obesity, diabetes, heart disease and cancer. There is some evidence curcumin reduces the levels of certain substances (cytokines) that produce inflammation. Systematic reviews and meta-analyses, which combine data from several randomized controlled trials (where an intervention is tested against a placebo, while the subjects and those conducting the study don’t know who has received which treatment) support this finding to a certain extent. A meta-analysis of nine randomized controlled trials showed taking curcumin supplements led to a significant reduction in cytokines that produce inflammation. But the authors claimed these reductions were modest, and it’s unclear if they would actually have a benefit in real life. These trials were conducted with small sample sizes ranging from 10 to 50 people, which reduces the strength of the evidence. It’s difficult to draw a conclusion on a beneficial dose and how long you should take curcumin, or the population group that can benefit the most from curcumin. In this study, curcumin was found to be as effective as ibuprofen in terms of reducing pain levels in these patients. But the authors of this meta-analysis themselves suggested that due to small sample size and other methodological issues there is not sufficient evidence to draw definitive conclusions. One study that reported reduction in blood glucose levels in type 2 diabetes patients reports a change in blood glucose from 8.58 to 7.28 millimoles per litre after curcumin supplementation. People with levels above seven are classified as diabetics. So in clinical terms, the change is not that much. 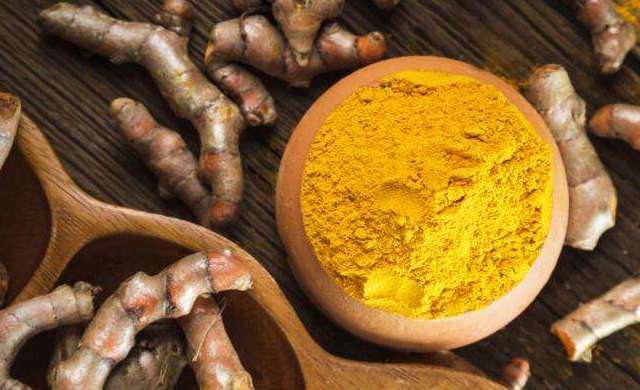 In fact, at very high doses, curcumin’s predominant activity switches from antioxidant to pro-oxidant, which means rather than preventing cells from damage, it promotes cell damage and has also been reported to cause tumors in rodents. Although curcumin is showing some encouraging effects in reducing markers of inflammation in humans, the majority of the pharmacological effects of curcumin are in lab studies or animal experiments. Until there are more high quality randomized controlled trials conducted to confirm the benefits of curcumin or turmeric, it’s best to consume turmeric orally as a spice as part of a healthy, nutritious diet. Esta entrada se ha publicado en Alimentación, Artículo, Cosas Nuevas, Efectos Secundarios, Estudio, Prevención, Sabías que, Salud, Vale la pena ver y se ha etiquetado como antibacterianas, anticancerígenas, antioxidante, citocinas, cocina india, curcuma, dolor, inflamación, matar las bacterias, metabolismo, moléculas reactivas, pigmento natural, propiedades antiinflamatorias, protege el cuerpo, raíz, reducir, tumores. Marca el vínculo permanente.